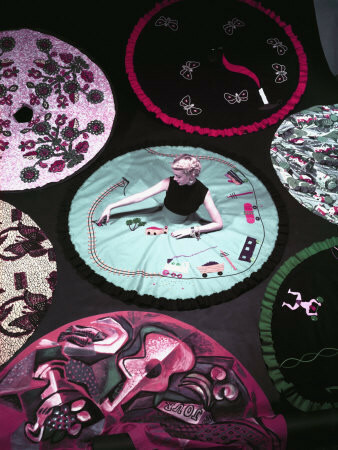 I absolutely adore a good bit of vintage photography, and I am a massive Beatonophile (yep, I’m really that obsessed with Sir Cecil that I have a word for it : )) So imagine my glee today when I came across a midcentury photographer whom I had never come across before. 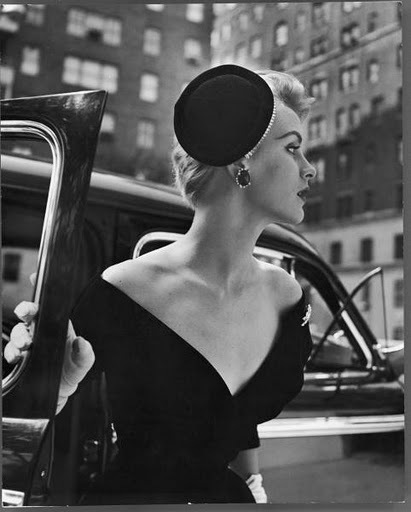 Today I introduce you to Nina Leen. 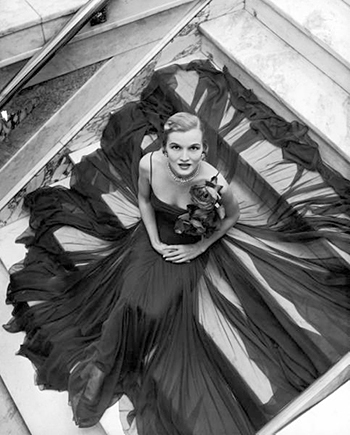 Leen was a Russian born photographer who primarily worked for Life magazine in America. She was very well known for her animal photography but I’m most interested in her fashion shoots. She started working for Life in 1945 producing over 40 covers for the magazine and countless other stunning shoots too! I love the way in which Leen organises her compositions very artfully done with a hint of quirkiness for good measure. 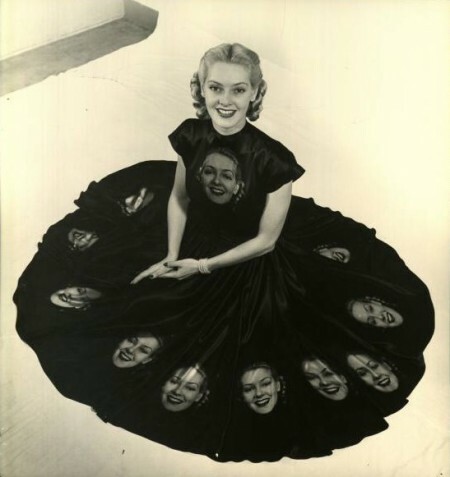 Look at these for novelty print circle skirts. Sigh. Want them all! This beautiful lady comes from 1953. I adore her hat. 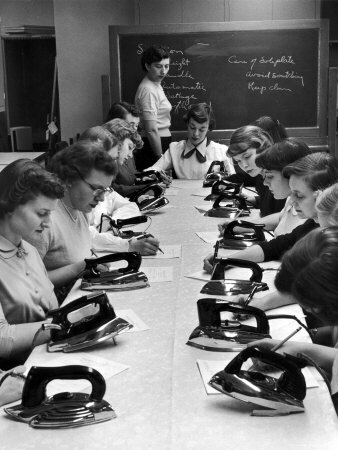 Candid shot of a home ec class possibly? 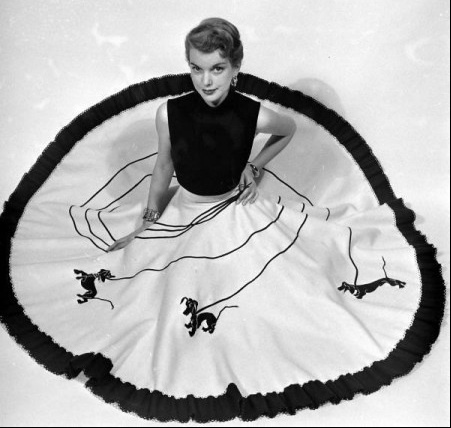 I am such a sucker for a good circle skirt and that photo has added to my long list of skirts I want to make!! Gosh these are great. Good find.